Slow, choppy performance is a common problem issues with Windows-based PC's as well as other types of computers. Typically, computer sluggishness occurs when PC's take too long to open and save files in the hard drive, launching applications, and browsing the Internet. Although the problem of slow PC performance could be due to several reasons, there are some basic tips regarding PC diagnostics and computer repair to help alleviate such issues. Firstly, computer users can diagnose any new hardware or devices that maybe the cause of the reduced computer speed. This troubleshooting process involves the removal of new devices, such as scanners and printers, followed by system reboot to establish the speed of performance in the absence of the newly installed devices. In case the user notes a slowdown arising from new devices, repairing or fixing the computer in this case could involve the installation of the latest drivers for the concerned devices. The diagnosis and computer repair of slow running systems also include the verification of the availability of system resources. The user should verify that he/she has not run out of disk space since this could happen unknowingly. 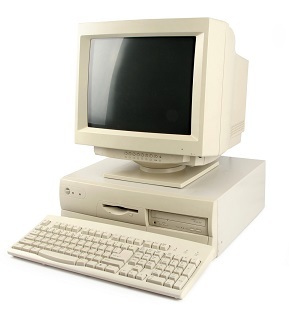 A computer system must have adequate system memory and video memory for normal running to take place. In the event of low disk space, computer repair would involve temporary file cleaning, defragging of hard drive, and removal of programs currently not in use. The slowdown of a computer system could also be as a result of new software that does not meet minimum requirements of the system. The user can easily establish this possibility by referring to the information accompanying the new software; this could either be available on a sticker or a jewel case of a DVD/CD. Software requirements are related to memory, hard disk space, compatible operating system, video requirements, among others. In the case of new software, computer repair would involve removal of the affected programs and a reboot of the system. User could possibly upgrade his/her system to meet the requirements of the intended software. Computer repair of a slow performing system also involves a routine to ensure that the virus scanner and operating system are up to date. Errors in the operating system and presence of viruses are common cause of system slowdown in Windows based computers. The user can make use of internet explorer to find out whether the OS and Virus scanner are up to date. Windows update is the common tool used to validate the virus scanner and operating system of a Windows-based computer. The user should acquire an auto-updater to ensure download and installation of the latest updates for specific software. This guideline could easily achieve computer repair for slow performing systems at home. Users can thus be able to establish the internal causes of system slow down, repair the systems, and take the necessary preventive measures. It is important for users to ensure that their computers are free of pop-ups and viruses at all times. These are forms of malicious codes whose installation is mostly done unknowingly and are potential causes of system slowdown. Indeed, the troubleshooting and computer repair of slow performing PC's could be achieved without seeking the PC computer repair services of a professional.